Forté members have the exclusive opportunity to participate in our speaker series and hear from a host of different speakers brought to campus by our VP of External Affairs. Our speakers have worked in a variety of industries from finance to higher education and leverage their experience to offer insights on how to succeed in the workplace. Every semester, Forté organizes a New York City Trek, visiting different companies and meeting up with our alumni. On these trips, members have the unique opportunity of hearing presentations from recruiters and Cornell alumni to better understand what career field they might be interested in. In the past semester, we have visited Google, JP Morgan, Facebook, Barclays, Citi, and many more! During Women's Week in March, Forté hosts a variety of events to empower women. One unique event is Power Hour, founded by former President Shaibyaa Rajbhandari. Members spend an hour rotating to through different tables, speed-networking with female student leaders on campus to learn about their experiences and their path at Cornell. "Experiences of Women" is a speaker-series, bringing female leaders from different industries to campus. 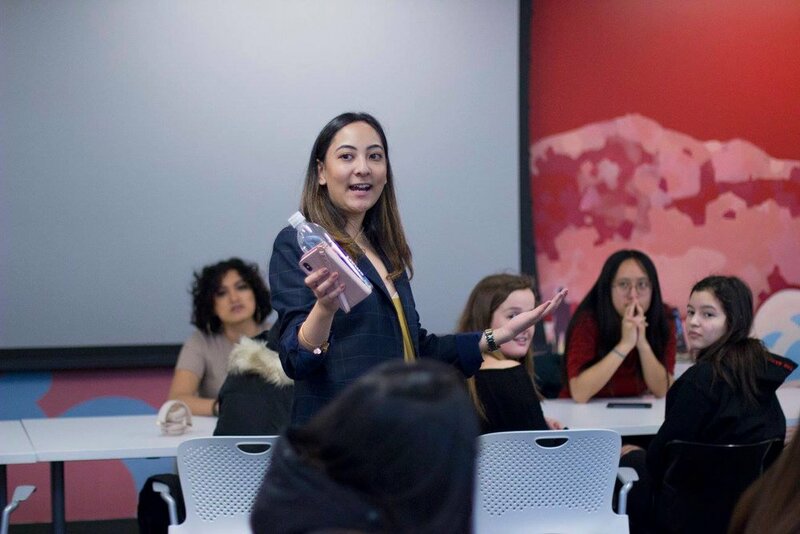 Founded by current President Archana Choudhary, "Experiences of Women" is open to everyone on campus and aims to start the conversation on gender disparity in the workplace. We hope to encourage women to pursue careers in fields that may be dominated by men and to educate men on what they can do to bridge the gender gap. Forté recently hosted its first event of the series, "Experiences of Women in Venture Capital" with Cornell Venture Capital Club, bringing female speakers from top venture capital firms to talk about their careers and how being a female has affected their experiences.